Simply steamed asparagus drizzled with a classic lemon and herb dressing. Quick and easy it’s a perfect starter. Add the juice and zest of the lemon to a bowl and whisk through the sugar until dissolved. Gradually pour in the olive oil, whisking all the time, until it has emulsified. Stir through the chives and season to taste with salt and freshly ground black pepper. We served this with lightly steamed asparagus. 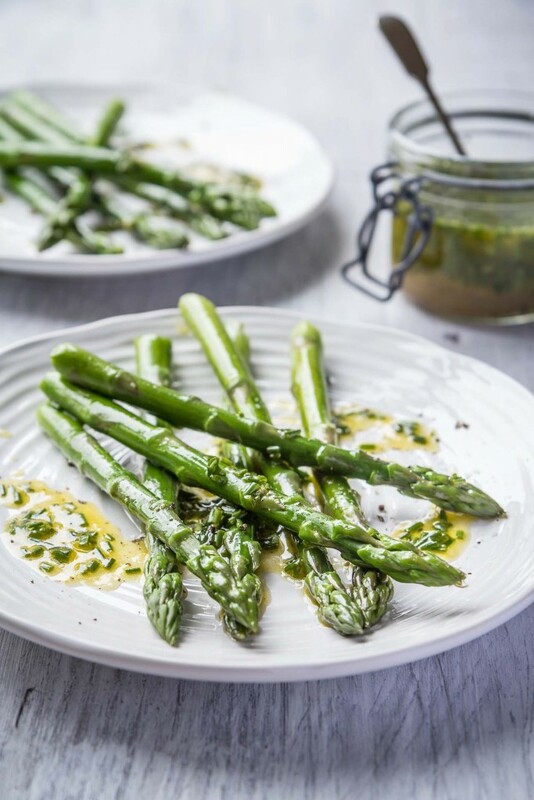 Place the trimmed asparagus into a steamer and steam for 3-5 minutes until tender but still with a little bite.